Last week I was privileged to present at a National Symposium in Los Angeles as part of WealthCounsel & ElderCounsel, which is an elite network of Estate Planning and Elder Law practitioners from across the country. 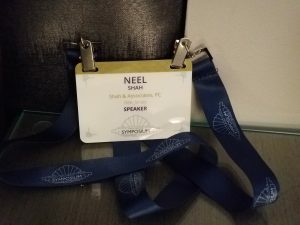 Needless to say, it was a humbling experience to be considered an expert on something amongst a group of my colleagues and peers. 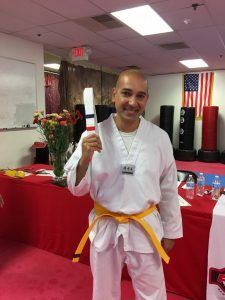 But it didn’t take long for my head to shrink back down to normal size, because the very next day, upon returning from California, I was tested for my yellow belt in Tae Kwon Do (for those that don’t know – this is only 1 step “up” from being a beginner). Suddenly instead of being the expert in the front of the room, I was now the novice, this time being judged by the experts. Also a humbling experience. The point is, you can easily be an expert in one thing and a novice in another. When I need instruction on my forms & self-defense skills, I turn to the Masters. When it comes to estate planning, if you are not an expert, you should seek the advice of one. You ‘don’t know’ what you ‘don’t know’. If you would like to learn more about the things you may not know regarding estate planning, please consider joining us for our free workshop coming up on Thursday, Oct. 26th at 10am in our In Office Classroom. You can email us at Seminars@LawEsq.net to RSVP or request more details. We hope you can join us, but if not, you can also use this link below to schedule a brief call. And don’t forget to check out this past week’s articles.